Throughout this past year I came across a lot of new authors and new series by authors already known to me. I was trying to cut down on the ridiculous number of works in progress I can’t seem to contain and by September had decided enough was enough. I vowed to not read any new to me authors for the rest of the year, or start any new series. I only purchased books in any ongoing series I was already reading, and that still kept me busy for the past few months. Regardless of that vow, I still noticed many new releases that intrigued me. I wanted to grab them and find a quiet place to hide, but couldn’t ignore the promise to myself. So, rather than creating a top five list of favorites for 2010, I decided to list my top 5 regrets. These will also be the books I start out with for reading in 2011. 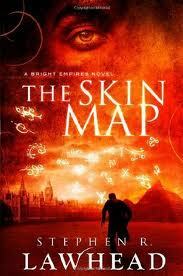 The Skin Map by Stephen R. Lawhead. I had the wonderful opportunity to meet SRL in Austin on his tour for this new release. He gave a short talk, read from the book and then signed copies while talking to his readers. I sat ever attentive in the front row, riveted by his eloquent speech and clear voice. I LOVE his work. I first happened upon SRL’s writing when I picked up his The Song of Albion trilogy, starting with The Paradise War. His writing is so well researched and worded I felt as if I was there in the midst of the Celtic struggles with the onset of Christianity. From there I turned to other single titles and series of his and have never been disappointed. I began reading The Skin Map in September when I bought my copy, but life and writing happened (as well as NaNoWriMo) and I put it down. I plan to make it my first finished reading venture of 2011. It’s a mix of sci-fi and historical fiction, two of my favorite genres. With SRL’s excellent storytelling voice and talent for thorough research, I have very high hopes for this new series. 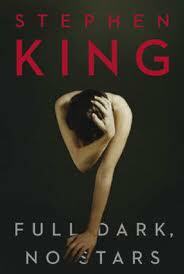 Full Dark, No Stars by Stephen King. I’ve been a SK fan for as far back as I can remember. Even as a young reader, I would huddle under the covers with one of his lengthy tomes and read until I couldn’t keep my eyes open anymore. One of my bookshelves is almost completely dedicated to his work and I’ve entered my first ever reading challenge for his books in 2011. I haven’t purchased this one yet and honestly don’t know much about it, but SK books have never failed to intrigue me. I won’t say I’ve loved every single one, but each has given me something to think about at the end. Love him or hate him, no one can argue that he isn’t an intriguing storyteller. This will most likely be my first purchase of 2011. 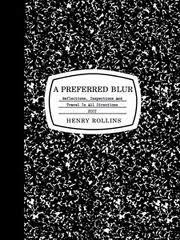 A Preferred Blur by Henry Rollins. While this was actually released in 2009, I received it late in the year. HR released 1,000 autographed copies of the limited edition black cover, and I’ve got # 661. My introduction to HR came in 1995 with the release of the song “Liar” by the Henry Rollins band. I’d already heard of Black Flag and enjoyed their music but had no clue who the screaming front man was until this song. I started noticing him in movies and discovered his site and production company 2.13.61. From there I listened to his spoken word and read his views on everything from music to politics. I’ve seen him live as a singer and speaker and own four of his books. He is one of the most outspoken, inappropriate and politically incorrect people I’ve ever seen…and I’m madly in love with him. Yeah, my hubby knows. 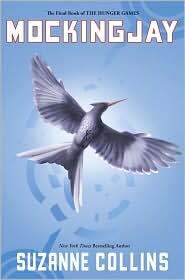 Mockingjay by Suzanne Collins. To be honest I should probably put the entire trilogy here, but this is the latest release. My oldest daughter fell in love with The Hunger Games at the beginning of the school year and has talked of little else since. For Christmas I bought her the trilogy and now she insists I MUST read them. The premise definitely interests me so I’ll most likely have them read by February. Ravishing in Red and Provocative in Pearls by Madeline Hunter. I put both of these books together because they’re book one and two of The Rarest Blooms series. I had the honor of eating lunch with MH during the Romantic Times convention of 2008. She is extremely intelligent and interesting and knows her work well. Her writing always sweeps me off my feet and I was shocked to realize I hadn’t known about this series until book three! I’ve already read the third book, Sinful in Satin, because I simply couldn’t wait to buy the other two. However, I plan to rectify that very, very soon. That’s my top five picks to start out the New Reading Year. What are yours?